Technics has announced a black version of its newest turntable, the SL-1200GR, and reaffirmed its commitment to DJs. News of the SL-1200GR, a cheaper version of the SL-1200G, was announced earlier this year at the CES 2017 tech trade show in Las Vegas. According to DJ TechTools, the black version is almost identical to the original silver deck in terms of features and specifications. Technics has confirmed that both products will be available to buy in April 2017 at a retail price of $USD1600 (roughly £1280). A statement from Technics director Michiko Ogawa reaffirming the company's commitment to DJ culture is also included in the announcement. Her words mark a shift in stance following the comments made by Technics creative director Hiro Morishita in a New York Times article last month, in which he snubbed DJs by stating: "Our concept is analog records for hi-fi listening. DJs are fine, too, but as a marketing target it’s problematic. We don't want to sell the 1200 as the best tool for DJing. The 1200 is the 1200." "The SL-1200GR and SL-1210GR combine the best of both worlds," said Ogawa. 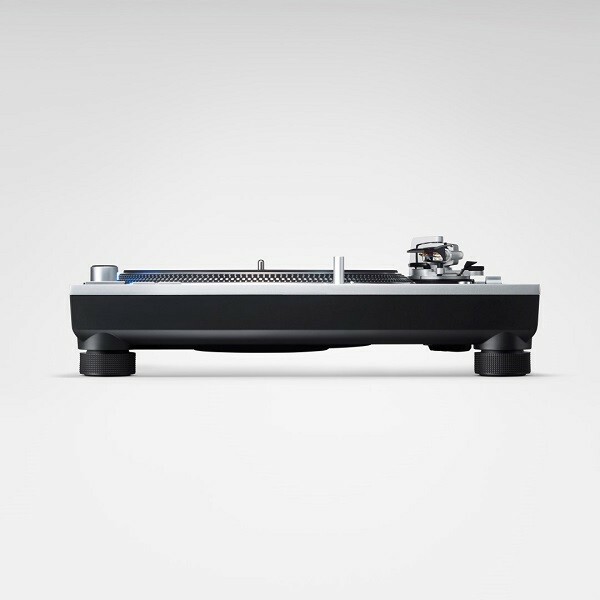 "We are sure both models will fulfill the expectations of Technics fans around the globe. Our objective was to extend our top range for audio enthusiasts as well as professional DJs." For more on Technics' new range, check out the most recent edition of The Hour, which features discussion from Create Digital Music editor Peter Kirn, DJ and producer Dinky and RA's tech editor, Mark Smith.